I was reminded of this scene by a paper published in the British Journal of Cancer (BJC). Based on observations from 75,680 women in the Nurses’ Health Study, investigators showed that the regular consumption of nuts was inversely associated with the risk of pancreatic cancer. Indeed, those who consumed one ounce of almonds, Brazil nuts, cashews, hazelnuts, macadamias, pecans, pine nuts, pistachios or walnuts, three times per week had a 35 percent reduction in the risk of pancreatic cancer (P = 0.007). This was found to be independent of age, height, obesity, smoking, diabetes, or other dietary factors. Although the study was funded by the International Tree Nut Council Nutrition Research and Education Foundation, they had no participation in the design or analysis of the data. The consumption of nuts has previously been shown to be highly beneficial. In a Spanish study of 7,000 people, ages 55 to 90, those who ate three servings per week had a 55 percent reduction in death from cardiovascular disease and a 40 percent reduction in death from cancer. Clearly, the association between nut consumption and health is both strong and broad based, as it extends from cardiovascular disease to cancer. The majority of the calories in nuts come from lipids (fats) including monounsaturated and polyunsaturated fats like oleic acid, found in olive oil, linoleic, gamma-linolenic and alpha-linolenic acids as well as the saturated fats, stearic and palmitic acids. Of the nuts commonly consumed the highest lipid content is in macadamia nut, followed by peanuts, pecans, cashews, walnuts, pine nuts, hazel nuts, pistachios, almonds and chestnuts. The protein content of nuts favors peanuts and pine nuts. A number of micronutrients are also found in nuts including flavonoids, stilbenes, proanthocyanidins, calcium, iron, B6 and magnesium. 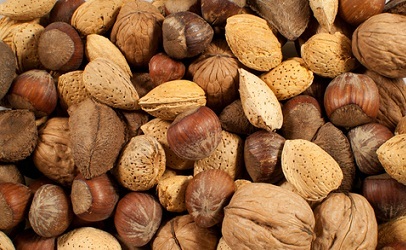 The BJC study stands in strong contradistinction to the oft-repeated admonition that nuts should be avoided, as voiced for many years by health experts and dieticians. The fat avoidance craze of recent decades held that foods containing lipids were to be eschewed. Health conscious individuals were encouraged to eat grains and carbohydrates. Today we recognize the important benefits of lipids and find that higher fat and high protein diets are gaining traction over the older food pyramid. We now find that high carbohydrate intake may in part be responsible for many contemporary maladies suggesting that the agrarian revolution of 10,000 years ago that made high calorie/low fiber grains readily available may ultimately prove to have been more a curse than a blessing. An expert is one whose “faculty for judging or deciding rightly, justly, or wisely” is recognized and granted sway over society. But who judges the experts? The current BJC study suggests that in many fields of science and medicine the experts can be wrong. How many people denied themselves the pleasure and, we now come to learn, the health benefits of nuts based upon expert recommendations? In our contemporary diagnosis and management of cancer, might the experts be leading us astray in other areas? Perhaps we should all ponder that point as we nibble on a few Macadamia nuts.